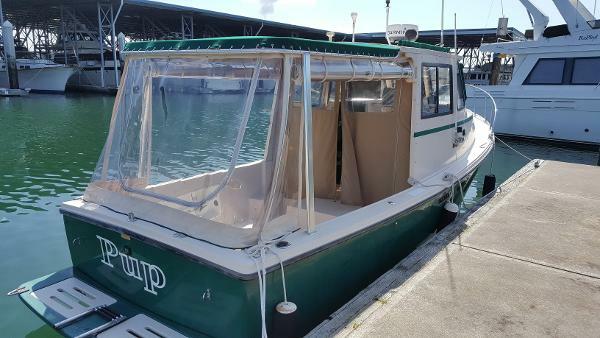 Bearing the classic design of a traditional lobster boat, "PUP" is an ideal cruiser and island hopper for the Pacific Northwest, perfect for a vacation with friends or a romantic getaway. 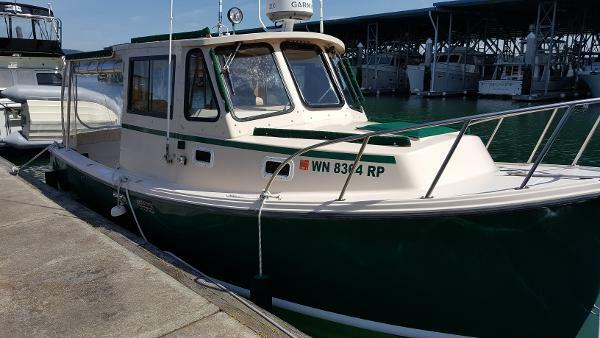 The main cabin boasts a large vee-berth with storage beneath, a port side galley, and enclosed shower/head compartment located starboard. The helm station offers wonderful visibility with complete protection, and spacious covered cockpit provides plenty of room to move about or relax. 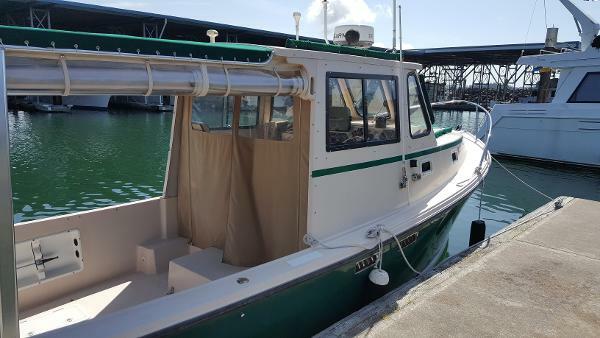 At a trailerable 25 feet "PUP" feels like a much larger boat, come see for yourself!